Suzanne Smith, director the UK Unmanned Systems Research Consortium, is using her expertise in systems engineering in another, potentially life-saving capacity. In a crisis, when minutes matter, could drones save lives? The short answer is, yes — determining how is a challenge best suited for Suzanne Smith. Since 2002, the College of Engineering at the University of Kentucky has been at the forefront of using unmanned aerial systems (UAS) for ground-breaking research. Smith, director the UK Unmanned Systems Research Consortium, is at the helm of this endeavor. CLOUD-MAP, the Collaboration Leading Operational UAS Development for Meteorology and Atmospheric Physics, is a four-university interdisciplinary team dedicated to providing meteorologists with data needed to build better forecasting models. In 2015, they began developing small UAS to measure wind turbulence, atmospheric chemistry, soil moisture and thermodynamic parameters. With contributions from researchers and students, CLOUD-MAP outcomes have the potential to revolutionize local weather forecasting. Smith continues to focus on the team's network — how it functions and how it evolves — particularly with respect to building relationships for future multidisciplinary research. She also contributes to planning and executing the annual collaborative flight test campaigns. Now, Smith's expertise in systems engineering is being used in another, potentially life-saving capacity — the Bloomberg Philanthropies 2018 Mayors Challenge, which recognizes innovative ideas aimed at tackling urgent problems. U.S. cities, with populations of 30,000 or more, were invited to participate in the nationwide challenge. Smith is among a core team of four people, comprised by the City of Louisville, who hope to reduce gun violence. Like many cities, Louisville's homicide rate has spiked in recent years. The city’s crime-fighting and peace-building initiatives are yielding promising results, but additional support is needed to continue addressing these challenges. In response, the team originally proposed building on a recently installed gunshot detection system to dispatch aerial drones' seconds after shots are detected — gaining valuable minutes that will allow police to capture critical evidence from the crime scene. Among more than 300 applicants, Louisville was chosen as a finalist. The selection committee included policy experts and executives, such as Caroline Kennedy, former ambassador to Japan, and former Xerox CEO Ursula Burns. "I was excited when I heard the news because it was an opportunity to contribute to an important objective, while learning about how great cities develop and implement innovative ideas to improve people’s lives," Smith said. As part of the development process, the team traveled to New York City for the Mayors Challenge Ideas Camp. Coaches were on hand to help the Champion Cities refine their ideas for final submission. Through engagement with community stakeholders in Louisville, a better idea emerged — to deploy drones to detected gunshot locations to identify injured persons and rapidly dispatch emergency medical personnel to save their lives. In a Twitter video, Mayor Greg Fischer said, “This breakthrough potential, this piece of innovation can make us stand out from the rest of the world." Louisville was awarded $100,000 to implement public prototypes during a six-month testing phase. This month, four cities will receive $1 million each to scale their ideas, and one will receive a $5 million grand prize. If Louisville is selected by Bloomberg, UK will help with UAS flight testing and preparing applications for FAA approvals. "As we wait for the announcement, our flight-testing efforts toward building the safety case for the authorizations are already underway," Smith explained. "UK has multiple FAA flight authorizations including a waiver for night flight and working toward our next goal of securing authorization for beyond-line-of-sight flight." As the national drone industry continues to take off, Smith believes, using UAS for rapid response is a model that can be successfully implemented in cities throughout the U.S. "Everyone is seeing that autonomous systems can make people’s lives safer in many ways. UAS can be where they are needed in a short time with a bird’s-eye perspective, and this could make a difference for an injured person and their family." Beyond this project, what Smith has learned from the challenge is already making a difference as the university extends CLOUD-MAP results for agricultural, energy, transportation and weather-related public safety applications. "The partnership developed from this project provides enormous mutual benefit. 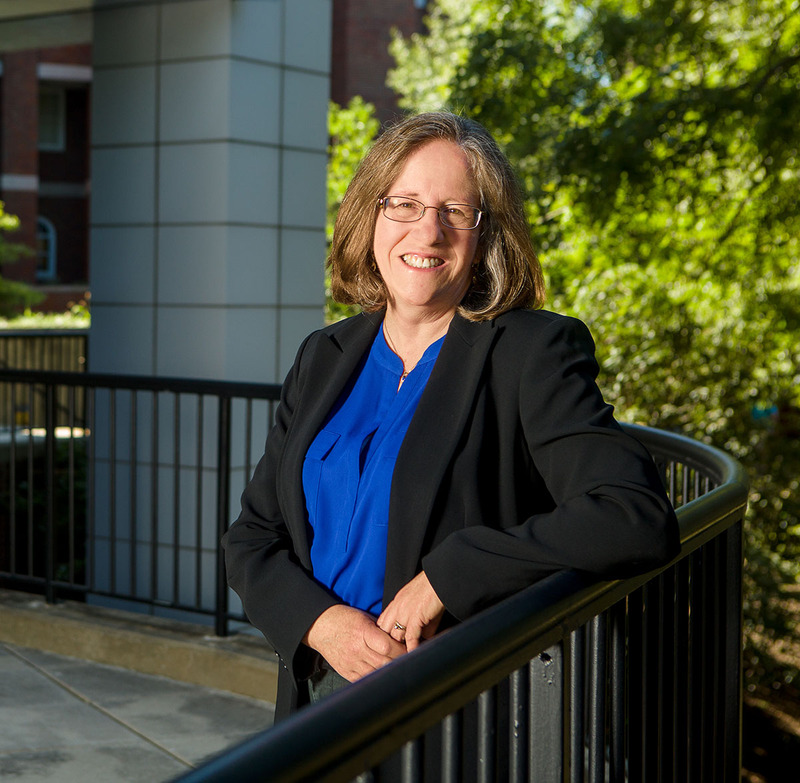 We gain from Dr. Smith's expertise, and she brings new problem-solving tools back to implement at UK and with other research partners," Grace Simrall, chief of civic innovation and technology for Louisville Metro Government, said. "We are ultimately bringing new engineering and atmospheric science results to benefit society, and the experience of participating with the creative innovation leaders in Louisville will increase the impact of what the CLOUD-MAP team can accomplish in the future," Smith added. For more information about the Bloomberg Challenge you can go online.